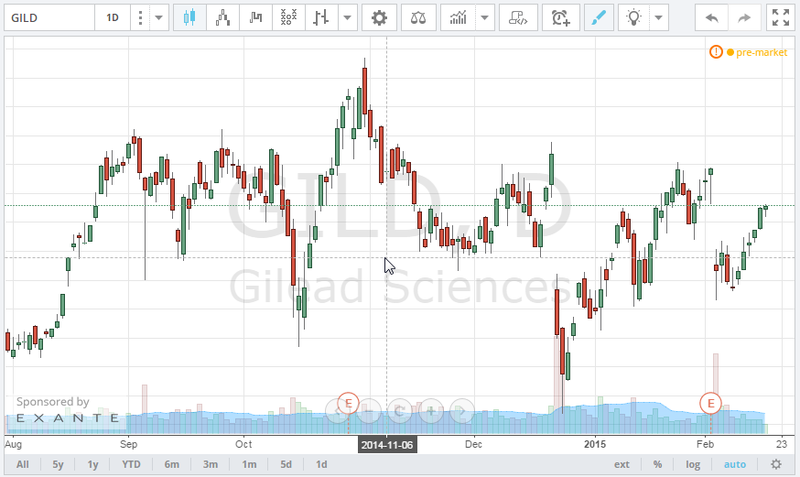 TradingView Blog Spanish / Gráficos / Clear the charts! We have added new global settings allowing you to hide the legend. 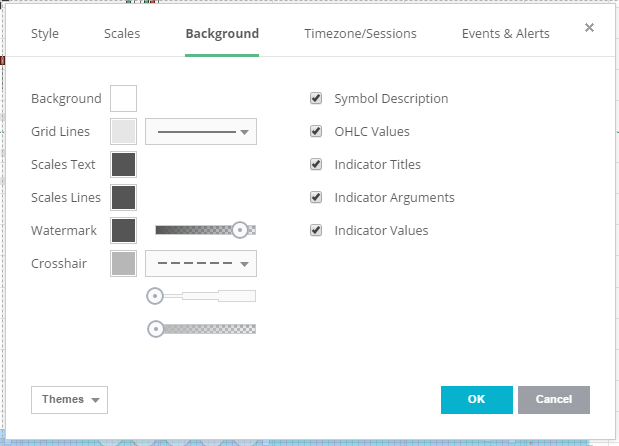 It is now possible to hide/show symbol names, OHLC values, indicator titles and their inputs on the Background tab in chart properties window. 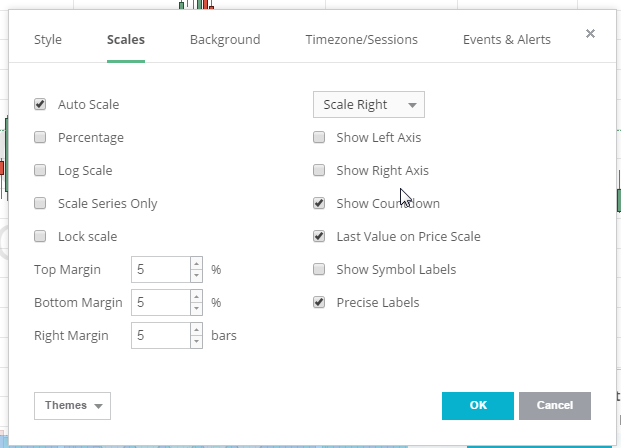 We changed the setting Last Value on the Scales tab so it now affects all objects on chart, however after we received your feedback we decided to separate the setting for data series and for indicators (soon). Also you can disable both price scales.